After our Project Trafford team members crunched our brain juice, we finally came out with a plan of exchanging "hugs" and "kisses" to get Mister Potato. First let me summarized the rules of the contest, to win you must collect as many points as possible and to get points you need to have the seal from Mister Potato package. You can go here for the detailed rules & regulations. So, all you need is to buy and eat as many Mister Potato as possible to get the seals. If you are 'okanemochi no hito' (rich people) then it won't be a problem. As our team is not rich people, so we come up with the "free hug" and "free kiss" strategy to get as many Mister Potato as we can. With Kif in Australia, Andy in Penang and Chic with her busy schedule. Three of them did their own free "hug" and "kiss" stunt in different locations. This is what Nicole, Aronil and me did. First, my lady boss, Nicole asked me to make a human billboard. So, I cut out two card board from an old box, and started to create my "Masterpiece". 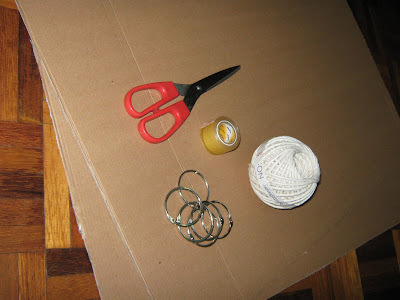 The materials needed for the human billboard sign. Aronil, Nicole, me, and Kel that is so nice to help out even though she's not involve in this project met up and start spiced up my "Masterpiece". I give hug and you give me Mister Potato. Kelz helped out to test my hug. Since, we're somewhere very near Nuffnang's office, and since Nuffnang is the coordinator of this project, we think that they will be keeping a lot of Mister Potato in the office. Off we went first to Nuffnang's office to offer my hug for Mister Potato. At the entrance of Heritage House where Nuffnang's office is. Getting excited in the lift. 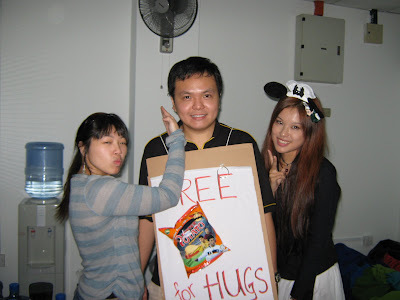 After much persuasion, Boss Stewie accepted my hug and gave me a pack of Mister Potato. But Robb say hug is such a low price for a precious pack of Mister Potato because he wants to win the contest and go to Old Trafford too. Also, hugged Firdauz and Wenqi. 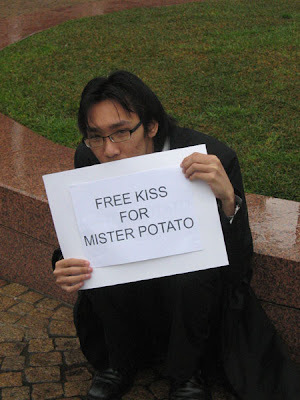 Robb says,"Give me a kiss and you can have my Mister Potato"
We have no other choice but to upgrade our offer from Free Hugs to Free Kiss. Robb was so happy that we up our offer, and seeing that Nicole is trying on the upgraded human billboard, he was overly excited. Haha, he wished. Nicole says,"Sorry, I'm just trying this on for quality assurance. I'm not the one offering the kiss." If it's not Nicole, then will it be Aronil? Aronil says,"Sorry not me either." I said with an evil smile on his face,"Sorry Robb. It's me again." Robb suddenly want to take back the offer but he was too late. Muahahahaha. I forced my way and kissed a terrified Robb. Yes, Simon is very keen to win the Mister Potato contest to Old Trafford and he'll do anything to get a pack of Mister Potato. Robb has no choice but to get a kiss from me. 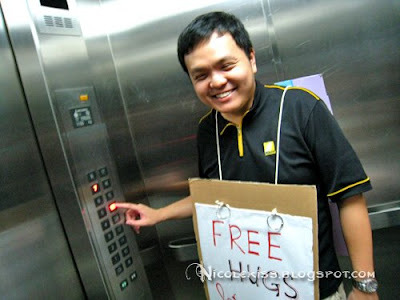 After terrorizing promoting our offer in Nuffnang's office. We only manage to get two packs of Mister Potato. So, we go down the street and try our luck on the people in the street. I walked and walked, offering hug or kiss but no one seems to take interest in my offer. So, alas, my lady boss, took on the role as the provider. Don't 'pray-pray' wei, once she put on the human billboard sign, there's a queue lining up from Bisou to Sogo. 1 container of Mister Potato please for Nicole Kiss' kiss. 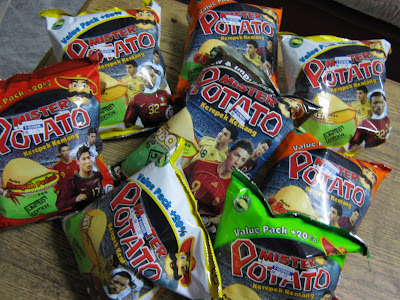 So, we are able to collect many many packs of Mister Potato. Old Trafford here I come. So, if you have limited monetery resources and want a higher chances to win the contest and make your way to Old Trafford. Follow our game plan to offer hug or kiss in exchange for Mister Potato and you will be able to get it. Go now and see what other prizes you can win here. OI! Never share your bags of Mister Potato Chips! u r the billboard man!!!! move over simon, i meant the other one. Great work! Looks fun! The guy kissing guy part looks hilarious hahahhaa. I'll hug all, provided I am given the Mister Potato. Being creative for Old Trafford!!! I thought there will be kissing scene between you and Robb.. muahaha.. I'm suing you for molestation! see you in court! Ooi! where got free liddat! hey!! i wan hugs and kisses also!! =D hehehe.... damn nice kan? hope you'll win man!! Steph: yes, i'm the bill board man and kisser. tori: lol what ler only hug pretty girl. justin: yeah, i like that part too. ysl: yeah, you're Man U fan? We're kind low in budget hence no costume. kelly: got one, but lady boss didn't send that pic to me. robb: I thought you voluntarily accepted our offer geh? andrew: you want my hug and kiss? come come. stand in front of a hyper mart ler . . . .lolz . . .good move . . .
kakakaka best post ever!!! i want mister potato but dunwan kiss can ar? OMG! This is hillarious!! U damn brave lor lol! I can't do this lol. steady la brudder..things u do for ur blog! ahaha. i got a hug from aronil for freee! no need exchange mister potato chips. haha. good luck simon with your endeavour! foodcrazee: I worried I'll scared away the customers. ManU rocks. mark: lol, yes, I'm a genius. wingz: whoa, compliment from king of funny post. I'm honored. jackson: I worried no one will come to eat then. rames: No choice. Nicole is very garang. joe: of course, passion for blog mah. 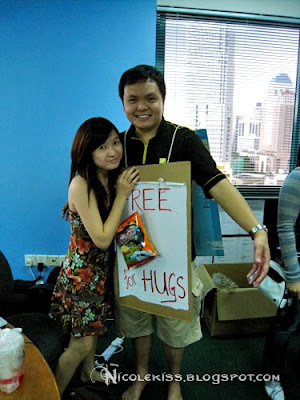 valerie: i hug you la, no need to give me anything. Thanks. haha. really funny post. 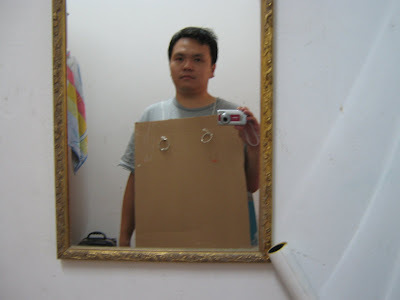 =) i salute you for having the guts to leave your house after putting on that cardboard. steph: yeah, even my lady boss salute me. mishi ka: See if i got time to mail all the Mister Potato bags or not. LOL. Mike: shh...wait till Stripped Steph read you comment. get Nicole to kiss me and i will send you to Old Trafford!!! Wahh so many comments already. 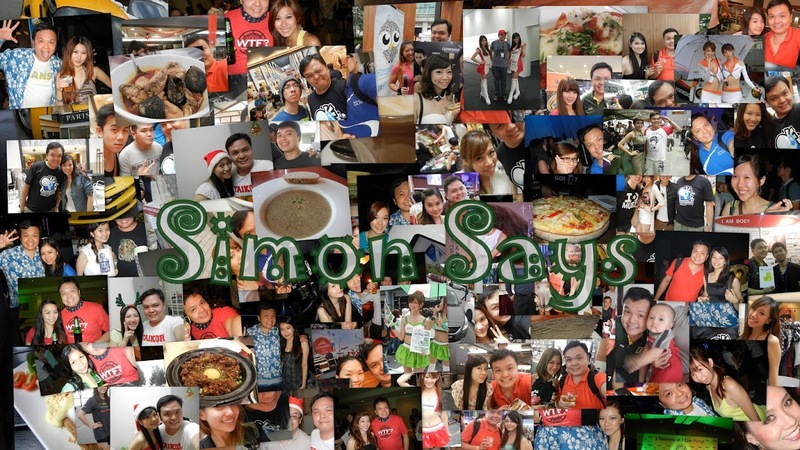 Go Simon go! Falcon, Send me to trafford! i still have 1 more pack of mister potato. do you want it? Wondering where they buy those mister potato? ren: i also want but she won't kiss me because i used her Bobby Brown lipstick. And yeah it was fun. clover: I like Original & Tomato Mister Potato. Got snacks when watching DVD at home. I sacrificed myself, if not funny then my sacrificing is worthless. falcon & nicole: Falcon you read my boss's reply? you send her to Trafford and she'll kiss you. baby: give me give me. mike: I was wondering too. you should make a video out of this. 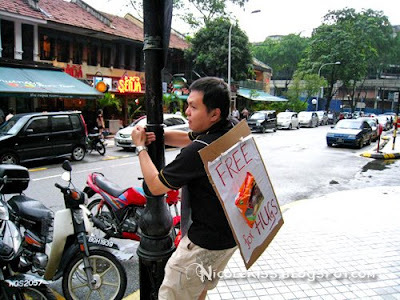 just like the free hugs ones. anonymous: thanks, a lot of hard work wei. yao voon: yeah, we pwned him real good. Then u must be getting the most hugs as it seems u provide the warmest hugs among others wo .. 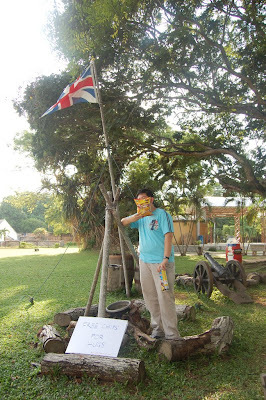 Cheers towards ur victory... Wohoo..
angelyee: No ler, I have to hump the lamp pole wtf. Thanks. Lamp post? No Mister Potato one wor! mike: yeah, that's why later changed to Nicole to get the Mister Potato lor. 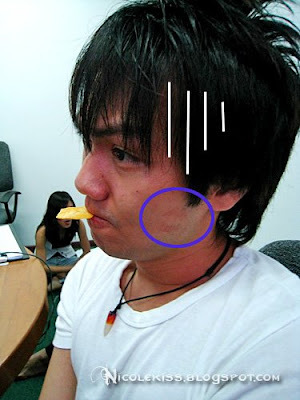 can i have oni nicole's hug and kisses?then i give u one pack of mister potato chips.LOL..good luck, simon!! i wanna see you doing that in HP towers. can? hahaha...interesting! but ppl in the street generally don't carry a pack of chips with them. so how do they exchange it with your hug or kiss? sue: you can't, nicole flew to China already. sheryl: just put a stand there next to a 7-11, ppl can just go in 7-11 and buy Mister Potato and then exchange for hug or kiss. val: I send it to you. My team mate 3.8 is in Australia too, he also can't have Mister Potato. firdauz: Thanks man for the pic. lol!You look damn happy to be able to hug and kiss people! hahahahhahaha okie okie next time u see me ill give a bag of mr patatoe!! michelle: yeah, I'm not attractive enough wtf. evolna: I was forced by my lady boss. haha, should have told me so I can donate a few packs for you! grahahahahha, u guys are really funny! i think project trafford is really fun!! Popjammerz: Yeah. It's really fun. 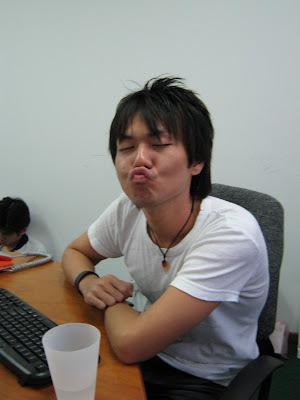 u r so Cuteeeeeeeeeeeeee la!! chyu: miss you so much. so long didn't chat with you already. Nah, I worried there's nothing left of me if I stand there. 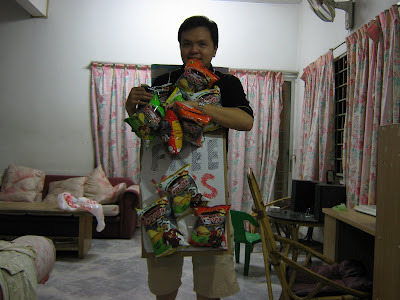 Kif: Come fly back to KL and hug me, I just bought 5 packs of 85g Mister Potato. tummythoz: That's a new laugh. LOL. I also want a hug! How many pack per hug? *hug*hug* Give me 2 packets of Mister Potato please !! u r so famous !!!!! eiling: ditched the mister potato, i want kiss. LOL. mike: me, is only 1 pack per hug, for Nicole you'll have to prepare 100 packs. Rose: I think you should be given me wor. Chyu: You're more famouse than me leh. MDG 1st Runner-up and Louis Koo's extra. but u gotta export your hugs/kisses over, as I'm miles away from you. j2km: lol wookie. 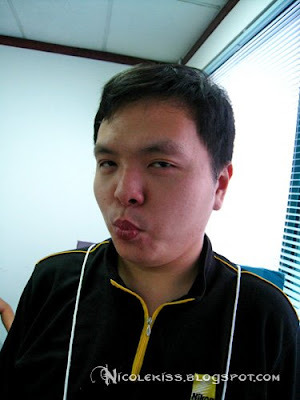 but i worry the kiss will busuk liao. i'll ask nicole to send from Shanghai. Help Me Win A HP Mini!